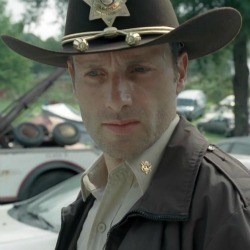 The Walking Dead roaming through his city, the feeling of horror at the empty streets and walking corpses; Rick Grimes has to find his family, has to get a grip and realize what is going on; because nothing is as it was when he went to work the day before, and no one has the answers. Running currently on AMC with no signs of slowing, this is by far one of the best series I have ever watched; starting off with one of the most shocking beginnings to a series I have ever seen it grips you from the word go and does not let go. "What is going to happen next?" I have now watched the whole series up to date, and I still stand in awe of the amazing work that has been done here. I have done my best to not give away too much, but if I say nothing you will not know what to expect in the series, so I avoid major spoilers, deaths, and surprises. Season one introduces the main cast, gives you a feel of how the world really is, and how it works now. That humanity is near its end, the breaking point, survival is all that exists now; and hope that there will be a cure, a way to recover in sight. About midway through the season the story really starts to snow ball and speed up, some movement, no longer staying in one place after some plot twists and turns, going from camping in the woods, to survival on the road and even finding a place to finally have a small break from all the terror that has become the real world when the survivors find themselves at a farm. But the journey is not over at a farm, and the farm itself holds interesting secrets and surprises, including the now infamous barn. Friends and enemies shift, change, come and go through the first season. As things start to heat up near the end we start to get a feel for the core of the group, those to watch, and learn that some of the best plot twists, stories, and developments are yet to come in season two. 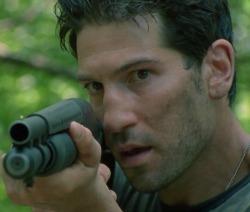 With outstanding special effects and a great budget, and a extraordinary cast topped off with a level of storytelling unheard of in a long time in the zombie genre the walking dead is not something that is going to go away before its time. If you are a zombie fan, if you love dramas, horrors, and zombies, you must Buy The Walking Dead Season 1 on DVD or Pick It Up On Blu-Ray . You cannot go wrong with this purchase, this is a winner, and an instant classic. 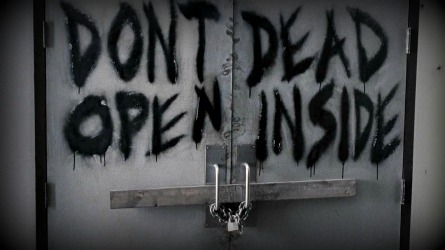 You can find a Summery of The Walking Dead, Season 1 with spoilers by clicking here!